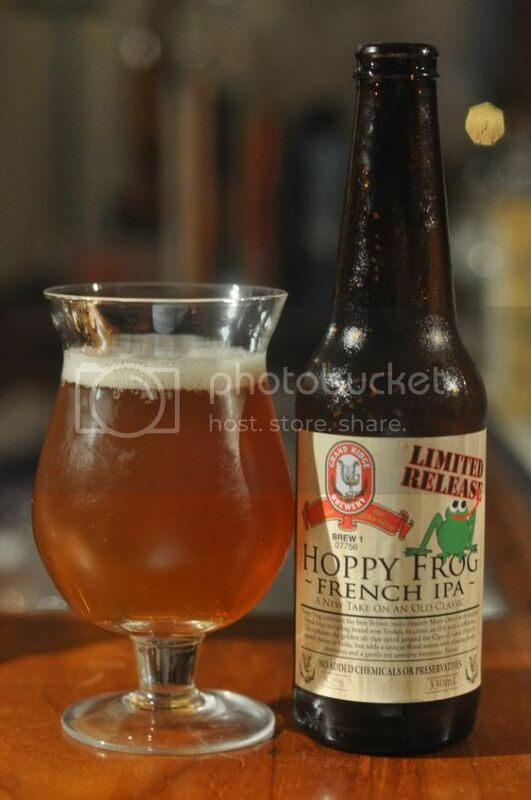 The latest addition to the Grand Ridge Brewery range, albeit it a limited release, is the Hoppy Frog. 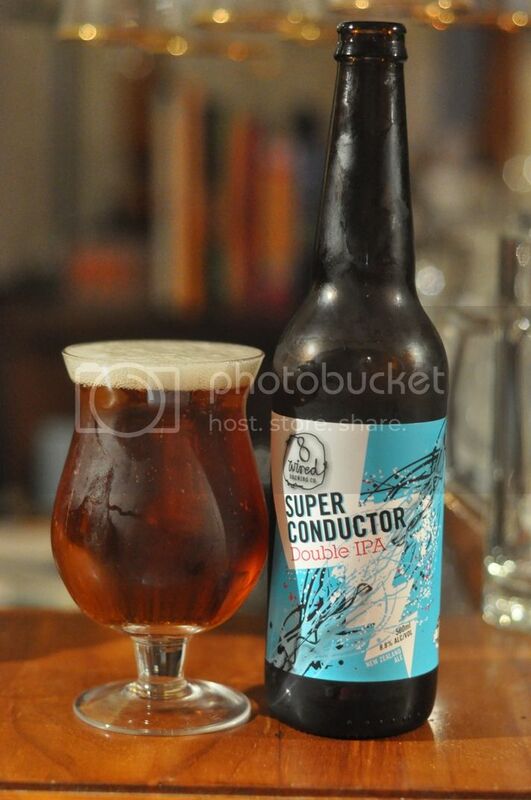 They've termed the beer a French IPA, basically it's a normal IPA but hopped with French hops. It sounds interesting to say the least. It's fair to say I know almost nothing about French hops! I received a press release for this beer back in October and didn't recognise any of the hop varieties. I'll be really interested to see how this beer turns out, the malt base sounds good and should give these unknown French hops the chance to shine. It's time to find out if French IPA's are a viable option! As is often the case with beers from Grand Ridge the pour was pretty ordinary. The body of the Hoppy Frog was an unappealing golden brown colour with very little signs of carbonation rising to one of the thinnest heads I've seen on any IPA. This is one I wish I'd just kept in the bottle, what a huge disappointment from a beer I was expecting quite alot from. Hoppy Frog smells like a beer that doesn't quite know what it wants to be. There is a relatively thin English pale malt base which smells fine, before some really quite unusual hop aromas come through. It's quite earthy but it's also mixed with some honey and there is also something that smells almost like sweat. It's really odd. The nose reminds me more of an English Pale than an IPA, only the taste will tell. Like the nose the taste is really quite unusual with the presence of this sweat flavour. While tasting it, the flavour becomes clearer and I think it is actually some kind of tropical fruit because I can certainly taste other fruits. Anyway the unusual flavour aside, the beer is a bit weak. There just isn't enough flavour and there is close to zero bitterness. It's not like any sort of IPA I've ever had. In the end this wasn't the worst beer I've ever had. but it also was certainly far from the best. The flavour was OK however there just wasn't enough of it. The French hops provided close to zero bitterness and are really what undid this beer. I have to applaud Grand Ridge, incidentally the world's most awarded brewery, for their innovation but unfortunately this one didn't quite work; it's a beer that I think people who like different hops should try but I doubt there will be many who love it.